Royal Dark is made by bean to bar maker Cacao Parlor in Laguna Niguel (I plan on visiting them). 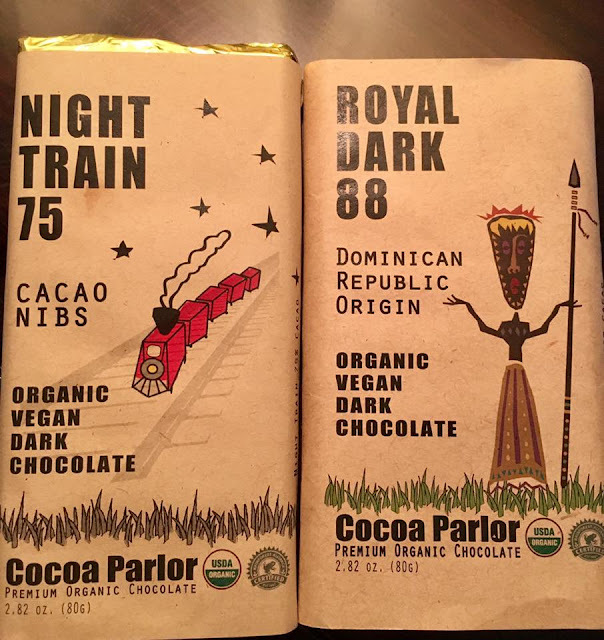 I especially enjoyed the 75% Night Train with cacao nibs. Creamy , fruity, and a good combination. 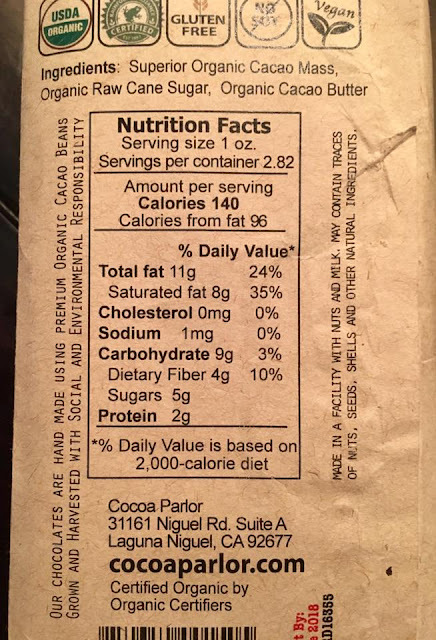 The 85% is a step up to less sugar- which I like. Well worth a try. I may mix the two in my next hot chocolate, and even add some good dark rum from Martinique.